NONFICTION RULES in the shortlist for the 2008 John Llewellyn Rhys Prize for works of literature (fiction, nonfiction, poetry or drama) by a United Kingdom or Commonwealth writer aged 35 or under at the time of publication. Among the shortlisted titles, there are two novels, a collection of poetry and three works of nonfiction. There are no collections of short stories this year. 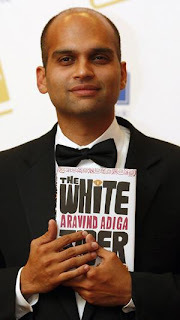 There are two début works: Aravind Adiga’s 2008 Man Booker Prize-winning The White Tiger and Ross Raisin’s God’s Own Country, recently shortlisted for the 2008 Dylan Thomas Prize for New Writing.